Francis Franco : AXIANTA Financial Partners, Inc.
Francis Franco is a Registered Representative of and offers securities products and services through Transamerica Financial Advisor, Inc. a division of Transamerica Financial Group, Member FINRA/SIPC. In this regard, Francis is registered in and this communication is strictly intended for individuals residing in the state of California and Nevada. No offers may be made or accepted from any resident outside the specific states referenced. Francis holds FINRA Series 6 and 63 registrations. He is also licensed with the California and Nevada Department of Insurance for Life, Disability, Long-term Care Insurance and Variable Annuities. Through TFA, Francis is able to provide Investments and Retirement services covering a wide spectrum of mutual fund families, annuities and life insurance related programs. Francis utilizes his experience to educate his clients on strategies designed to achieve financial independence. Francis believes that the key to a successful long term financial relationship is consistent communication, along with a strategy designed to address the unique needs and goals of each and every client. 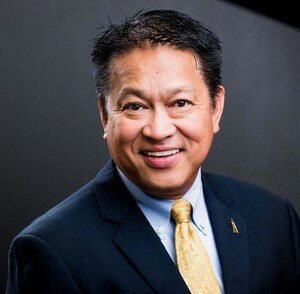 He has experience in retirement solutions, Francis is frequently invited to present educational seminars for schools, colleges, and education professional organizations. Francis has developed extensive knowledge in the Credit Union industry. He also does seminars on investment and retirement guidance for small businesses and non-profit organizations. Francis has earned a reputation for explaining difficult subjects in a style that is easily understood.